Luke : St. Paul's Bay, Malta, circa 60. Luke: The Acts of the Apostles 27:41- 44. Eyre and Spottiswoode Limited, London. Chapter 27 Verses 41 to 44, page 190. 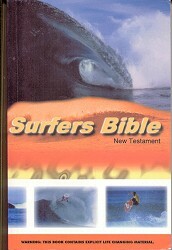 The earliest written (purported) first-person report of a shipwreck in ancient times, Luke's account includes the use of boards to negotiate the surf zone and safely return to the beach. Following a hearing before Herod Agipa III in Ceaserea, Paul is sent to Rome as a prisoner, in the company of his fellow evangelists Aristarchus and Luke. This is unlikely the first time that ancient sailors were forced to take such action, and on the other side of the world, early Polynesian voyagers no doubt had comparable experiences. The connection between the use of a timber plank as a floatation device to succesfully traverse the surf zone and surfboard riding is obvious. Whereas the technical (as opposed to the theological) events appear a credible account of such a disaster, its veracity as an historical document is somewhat questionable. Initially, note that modern biblical scholarship indicates that while "Luke the author" composed both The Gospel According to Luke and The Book of Acts, he was probably not, as often assumed, the apostle Luke as identified in the New Testament Gospels. 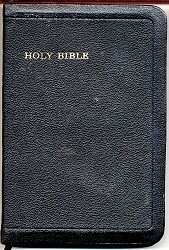 Given the consistent imposition of a religous context on the recorded events, it is possible that some aspects of Acts are manufactured to enhance the story. Finally, as a literate and educated man, the author was no doubt familiar with other written accounts of ancient shipwrecks and his report does contain elements of some of these earlier works. In particular there are strong similarites with the earliest and best known account by Homer in The Odyessy, circa 800 B.C. Selections from other ancient accounts of shipwrecks are included below. Luke Gartside: Surfing in Malta, Wavelengthmag.com, 13th July 2018. 43. But the centurion, willing to save Paul, kept them from their purpose; and commanded that they which could swim should cast themselves first into the sea, and get to land. 44. And the rest, some on boards, and some on broken pieces of the ship. And so it came to pass, to pass, that they escaped all safe to land. I cannot locate any of these references, although cited by several Christian Commentary websites. Loeb Classical Library, 6 volumes, Greek texts and facing English translation. Translation by W. R. Paton. 10. In the early summer the Romans, having launched three hundred and fifty ships, sent them off under the command of Marcus Aemilius and Servius Fulvius, who proceeded along the coast of Sicily making for Libya. 11. Encountering the Carthaginian fleet near the Hermaeum they fell on them and easily routed them, capturing one hundred and fourteen ships with their crews. 12. Then having taken on board at Aspis the lads who remained in Libya they set sail (1) again for Sicily. Footnote 1. they sailed: It is often necessary to use the word "sail," but it should be borne in mind that the ships were propelled chiefly by oars. 37. They had crossed the strait in safety and were off the territory of Camarina when they were overtaken by so fierce a storm and so terrible a disaster that it is difficult adequately to describe it owing to its surpassing magnitude. 2. For of their three hundred and sixty-four ships only eighty were saved; the rest either foundered or were dashed by the waves against the rocks and headlands and broken to pieces, covering the shore with corpses and wreckage. 3. History tells of no greater catastrophe at sea taking place at one time. 4.The blame must be laid not so much on ill-fortune as on the commanders; for the captains had repeatedly urged them not to sail along the outer coast of Sicily, that turned towards the Libyan sea, as it was very rugged and had few safe anchorages: they also warned them that one of the dangerous astral periods was not over and another just approaching (for it was between the rising of Orion and that of Sirius (4) that they undertook the voyage). Footnote 4. between the rising of Orion and that of Sirius: Sirius rises in July, Orion early in December. 5. The commanders, however, paid no attention to a single word they said, they took the outer course and there they were in the open sea thinking to strike terror into some of the cities they passed by the brilliancy of their recent success and thus win them over. ...to acknowledge their lack of judgement. 7. The Romans, to speak generally, rely on force in all their enterprises, and think it is incumbent on them to carry out their projects in spite of all, and that nothing is impossible when they have once decided on it. They owe their success in many cases to this spirit, but sometimes they conspicuously fail by reason of it and especially at sea. 8. For on land they are attacking men and the works of man and are usually successful, as there they are employing force against forces of the same nature, although even here they have in some rare instances failed. 9. But when they come to encounter the sea and the atmosphere and choose to fight them by force they meet with signal defeats. 10. It was so on this occasion and on many others, and it will always continue to be so, until they correct this fault of daring and violence which makes them think they can sail and travel where they will at no matter what season. Even the Jewish historian Josephus mentions a sea voyage and a shipwreck in his biography. I reached Rome after being in great jeopardy at sea. For our ship foundered in the midst of the sea of Adria, and our company of some six hundred souls had to swim all that night. About daybreak, through God's good providence, we sighted a ship of Cyrene, and I and certain others, about eighty in all, outstripped the others and were taken on board (3; sections 14-16). Luke: The Acts of the Apostles. Locked Bag 3, Minto NSW, 2566, 2002. 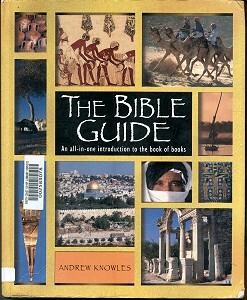 Knowels, Andrew: The Bible Guide. Sandy Lane, West Oxford, England, 2001, page 562. Geoff Cater (2008-2018) : Luke : St. Paul's Bay, Malta, circa 60.